The overarching theme in footwear these days is that shoes must be both trendy and comfortable, and we have no complaints there. For most, long gone are the days of sky-high stilettos. 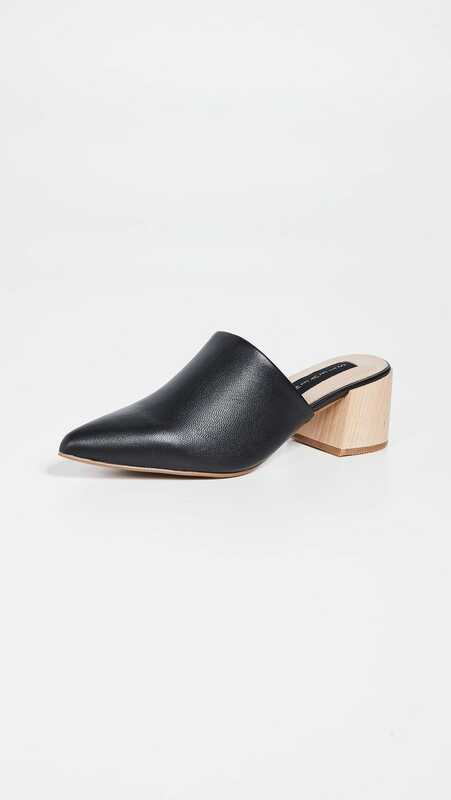 That is because there are so many reasons to love block heels. 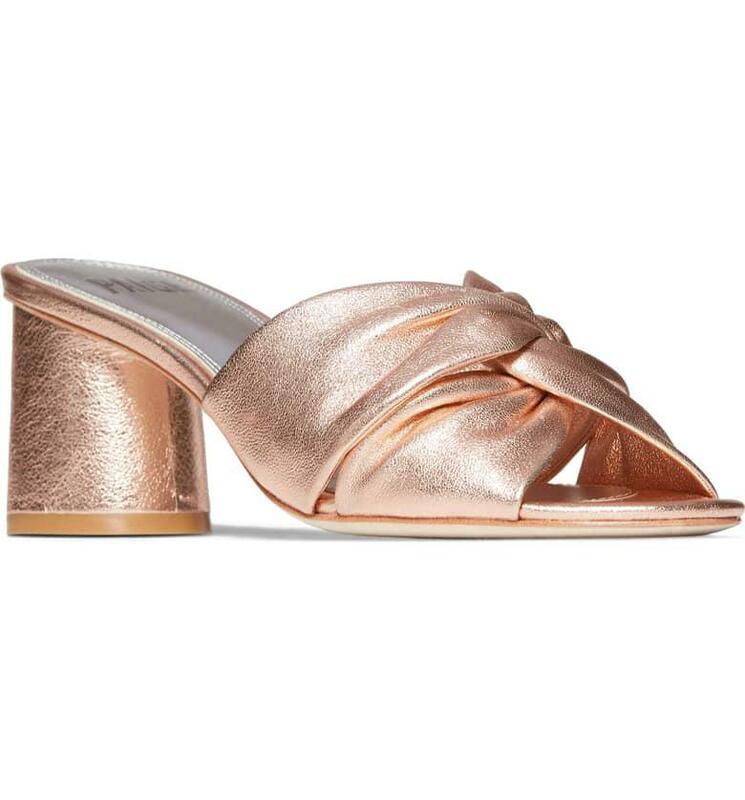 Not only is this heel shape ideal for everyday wear, but we especially love them for outdoor weddings. It’s better to go with a block heel in the grass so you aren’t constantly poking holes with your stilettos! 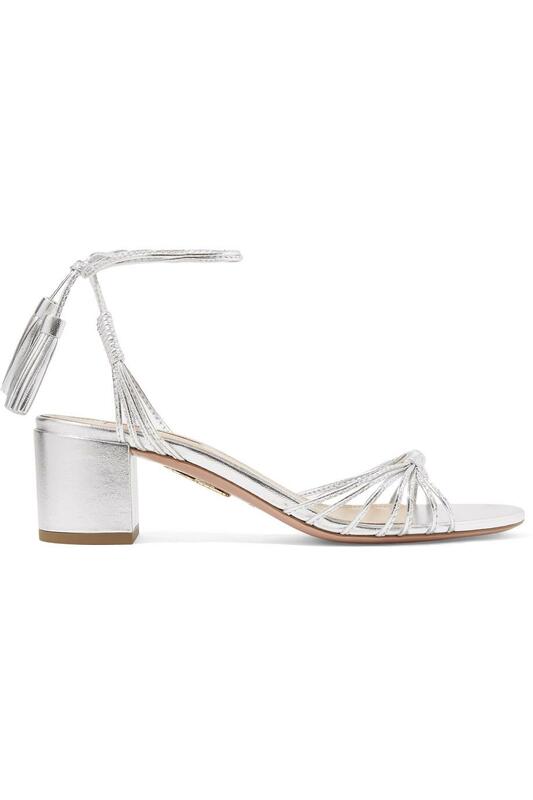 Let’s kick things off with these stunning slingbacks from Rebecca Minkoff. Lilac is the color of the season and we love it here in a crisscross upper. These are easily paired with denim or a light spring dress. 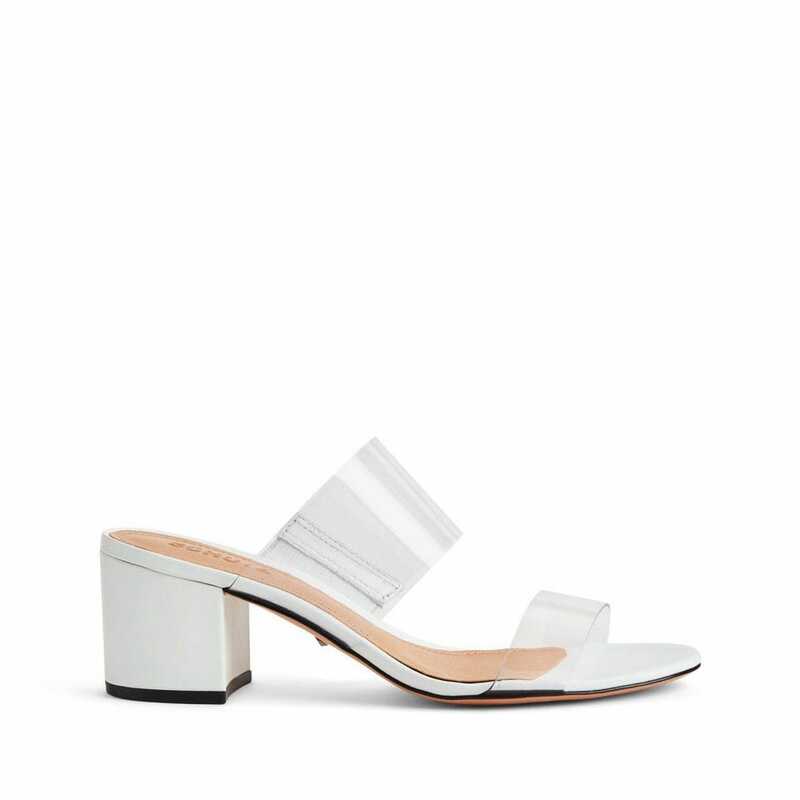 The transparent upper on these Schutz mules are right on trend. They’ll be the standout piece in your outfit, and can instantly elevate a regular day to day, jeans and tee shirt look. We are loving this oversized chunky heel, it’s a twist on an otherwise very classic silhouette with iconic hardware, the horsebit detail is synonymous with Gucci. The color is on point for the season in a beautiful pastel yellow leather. Along with lilac, neon is another IT trend of the season, we are seeing it everywhere. Maybe you aren’t feeling bold enough to wear it in a big way, and in that case, these sandals are for you! It’s a great way to subtly adopt this trend and is still guaranteed to draw attention. 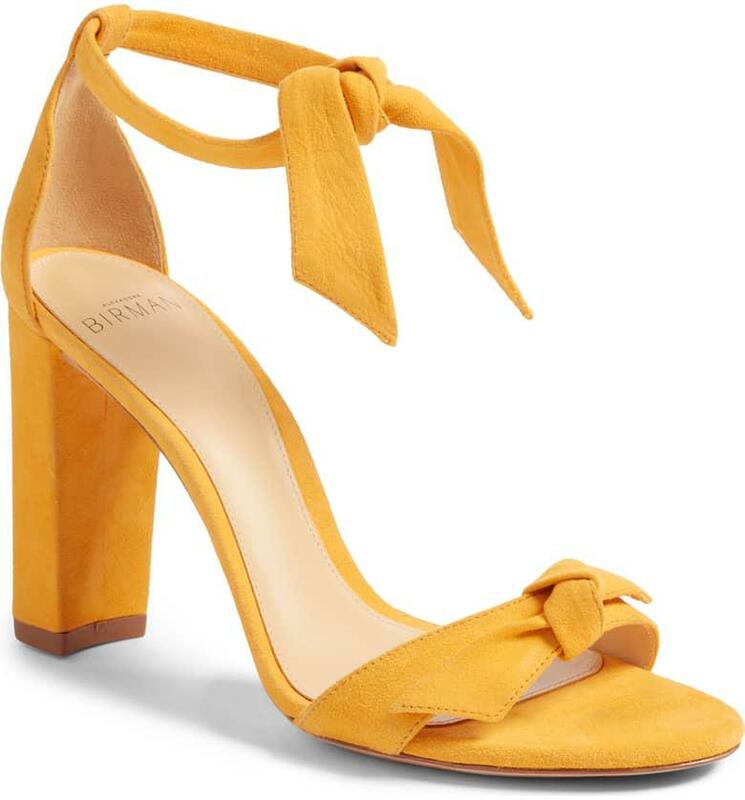 If you want something a little dressier and a little higher check out these knot sandals from Alexandre Birman. Adorned with two dainty ties in a sunset hue, we can’t get enough of these! We decided to round out this block heel edit with a pair of white boots. These hit a little higher than mid-calf and are easily scrunched. 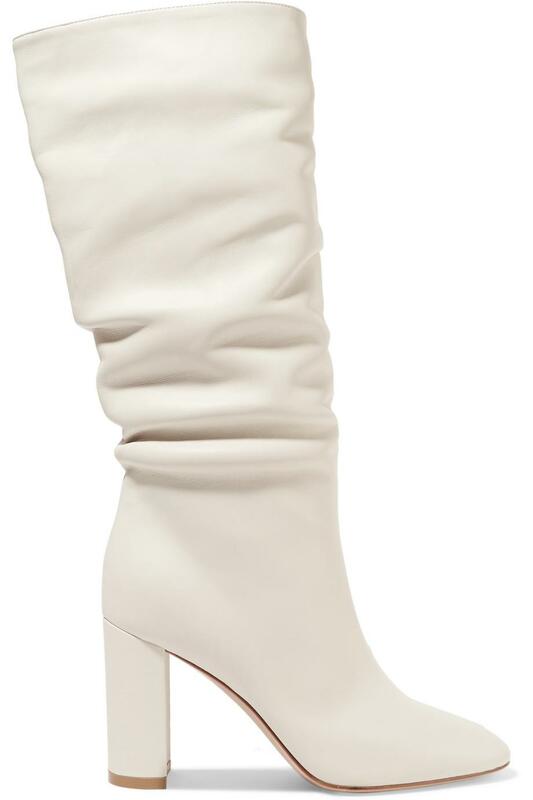 We have been into white booties for a while now, and mid-calf is the newest trend we’re gushing over. We love it in the white because it’s a color that is easily transitioned into the warmer months!